Diabetes Mellitus (DM) is a chronic metabolic disorder caused by an absolute or relative deficiency of insulin, an anabolic hormone. 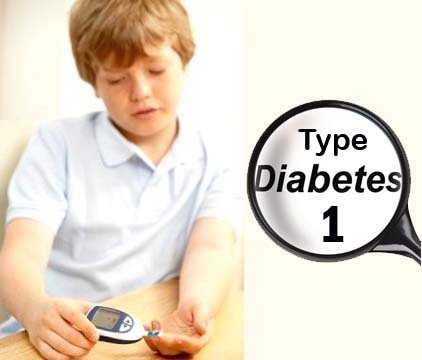 Type 1 diabetes mellitus can occur at any age and is characterized by the marked and progressive inability of the pancreas to secrete insulin because of autoimmune destruction of the beta cells. It commonly occurs in children, with a fairly abrupt onset; however, newer antibody tests have allowed for the identification of more people with the new-onset adult form of type 1 diabetes mellitus called latent autoimmune diabetes of the adult (LADA). The distinguishing characteristic of a patient with type 1 diabetes is that, if his or her insulin is withdrawn, ketosis and eventually ketoacidosis develop. Therefore, these patients are dependent on exogenous insulin. Type 1 diabetes (formerly called juvenile-onset or insulin-dependent diabetes), accounts for 5% to 10% of all people with diabetes. In type 1 diabetes, the body’s immune system destroys the cells that release insulin, eventually eliminating insulin production from the body. Without insulin, cells cannot absorb sugar (glucose), which they need to produce energy.